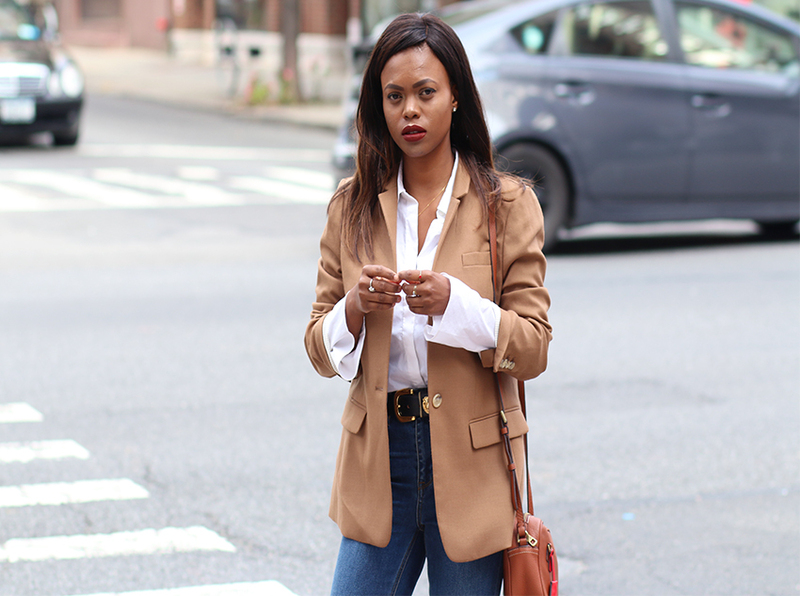 This Camel Regent blazer is the perfect transitional piece. JCrew's description of the Regent Blazer is everything I wanted to say. It's so perfect that I am thinking of buying another one for backup. One thing I've learn through my years of fashion blogging and dressing as a whole is when you find the perfect piece"buy two". This is the perfect weekend look for me. 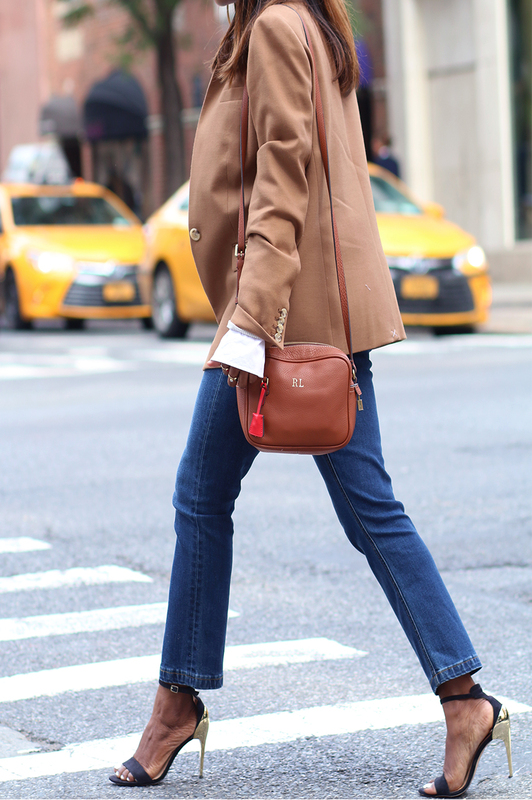 JCrew's Warm camel blazer, boot crop jeans,white button down and black/gold heels.